The inspection system ColourBrain® Furniture 4.0 is the technology leader in the double-sided inspection of foil-coated, melamine-coated and lacquered furniture panels. The outcome are impressive inspection results: Surface defects such as bubbles, dents, fine scratches or shiny spots are precisely recognized in their smallest size - whether diagonally or transversely to the feed direction. An optional drill hole control also checks for the integrity of drilling holes and profile deviations of grooves. The slim design guarantees a small space requirement in the feed direction. The system availability is maximized due to the ease of maintenance. 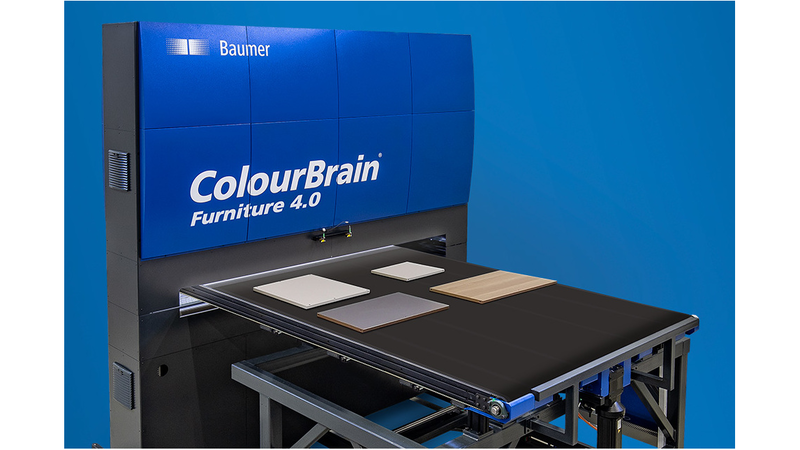 The ColourBrain® Furniture 4.0 system can be used both in series production and in batch-1 production for defect detection and process optimization, while a ColourBrain® Edge inspection system complements and expands surface inspection in an ideal way. In addition the modular design allows Baumer to react flexibly to customer requirements. In the most advanced stage the brand new illumination in combination with the first-class multiReflex® inspection module provide outstanding results in defect detection.